Google’s core business is in advertising and it insists on showing you as many ads as it can. A new tool introduced by the company gives users a modicum of choice by letting them personalize across devices what ads they see on Google and third-party sites, which may also be a bounty for advertisers who could get some more accurate targeting. The opt-in tool the company is rolling out allows users, who are logged into their account, to choose their areas of interest from a list provided, as well as add new topics not included in the list. The topics are derived from the user’s activity on Google sites, such as videos watched on YouTube, but does not include Gmail topics, which are used only for ads within the email service, Google explained on the new tool. For now, the topics shown only apply to YouTube, according to Google. Information on gender and age group will also be used to deliver relevant ads to the users. Users can also turn off the delivery of personalized ads. This will mean that they will continue to see advertisements but Google points out that users will not get the benefits of opting in, as they will still see ads but will no longer be able to edit their interests and the ads could be less relevant as they will be based on the user’s general location and will not be based on data Google has associated with their Google Account. Users can also control the ads they see on over 2 million websites other than Google sites, which partner with the company for ads. If the control is turned on, users will see ads based on their interests and previous sites they may have visited. 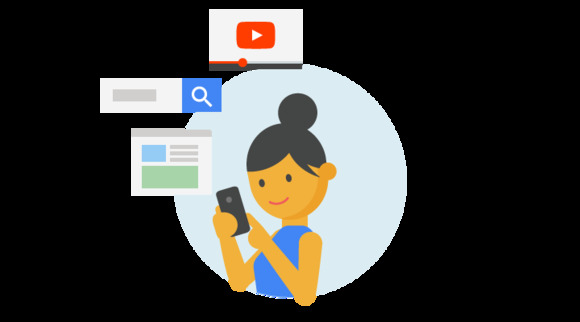 If "Ads Personalisation" is on, users can tick the box below it to also use Google Account activity and information to improve ads on the websites and apps that partner with Google to show ads, according to Google. The company will also include browsing data from many websites and apps that partner with Google, which will be stored in the user's Google account. The user will also be able to mute some of the ads that they don’t want to see on the websites and apps that partner with Google on ads. "If you’re signed in to your Google Account and you have Ads Personalisation on, we will try to apply any muting across all of your signed-in devices when we recognise you as being signed in," according to Google. A Google spokeswoman said the new Ads Personalisation control will "roll out gradually for users in the coming weeks." Another feature, called My Activity, which lets users review from a single location their activity on Google sites and even delete some entries like search requests and videos viewed, is live for everyone from Tuesday, but will have more detail when the new control is turned on, she added.